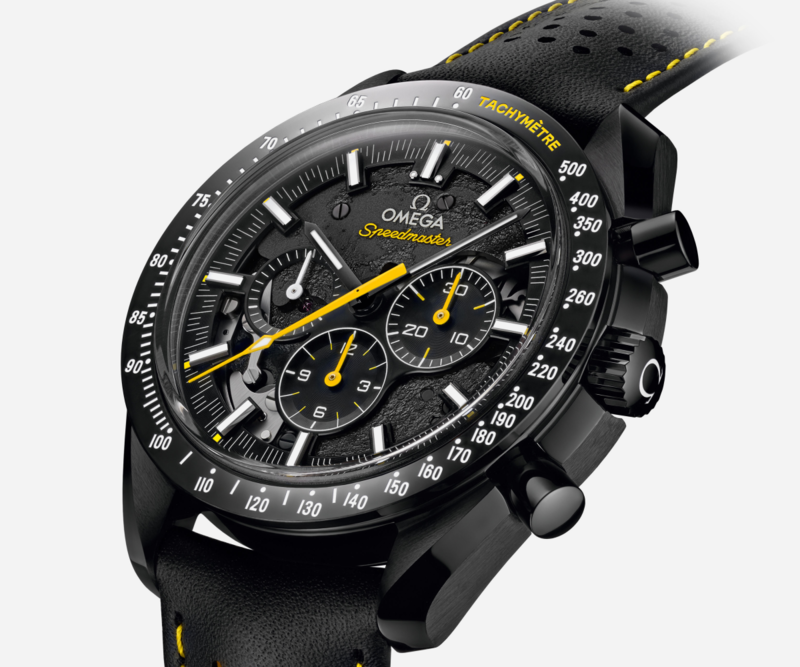 One of the most unique Omega Speedmasters ever produced is the blacked-out carbon Dark Side of the Moon which first debuted in 2013. 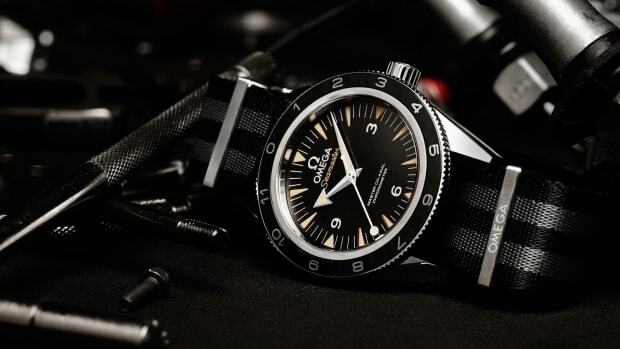 Now the storied Swiss watch brand has come out with a special limited edition version paying homage to a famed space mission. 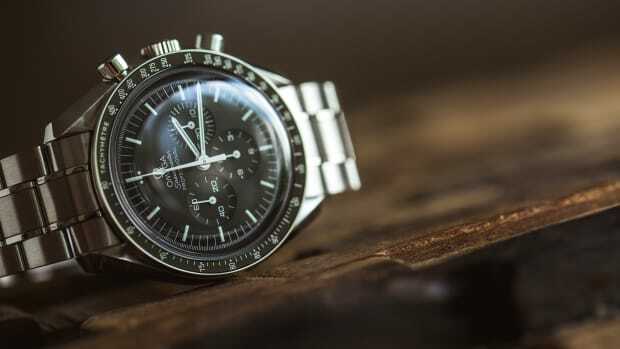 The Speedmaster Dark Side of the Moon Apollo 8 celebrates the 50th anniversary of Apollo 8, the first manned spacecraft to leave Earth’s orbit, reach the Moon, orbit it and return home safely. 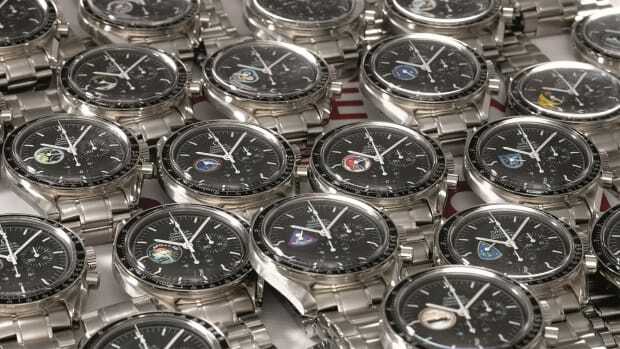 The astronauts were equipped with Speedmasters for the journey, of course. Priced at $9,750 apiece, the new watch has a partly skeletonized dial, showing the movement which has been “laser-ablated" to resemble the surface of the Moon. 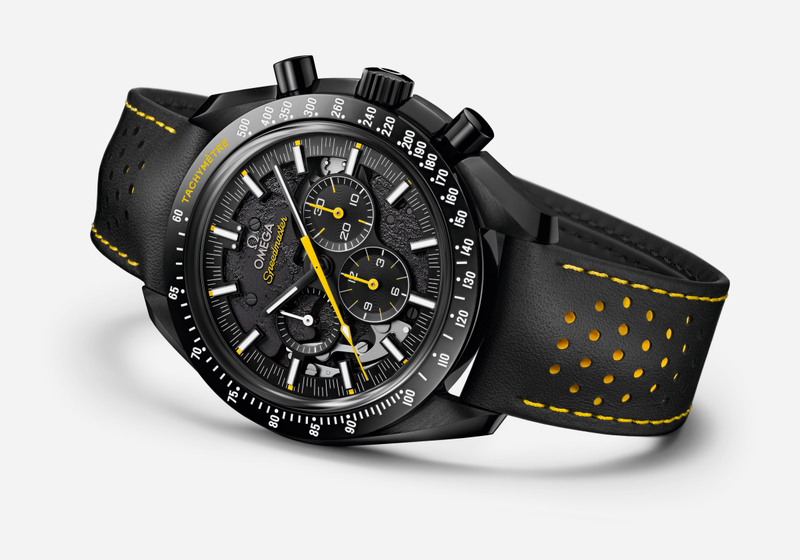 The watch is made of black zirconium oxide ceramic, with contrasting yellow hands and a black and yellow perforated leather strap. 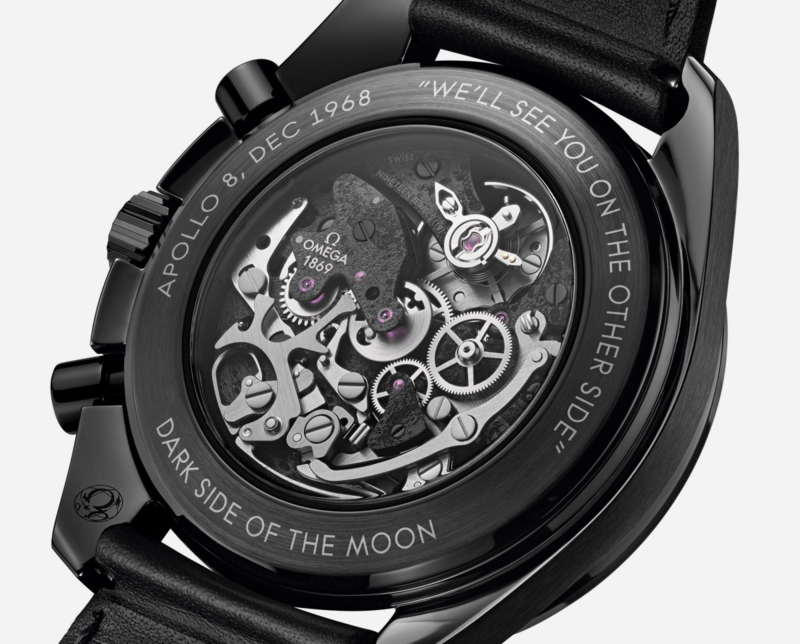 And the caseback is engraved with the words "WE'LL SEE YOU ON THE OTHER SIDE", famously spoken by Command Module Pilot Jim Lovell on board during Apollo 8 as the craft prepared to cross over to the dark side of the Moon, losing radio contact with ground control.